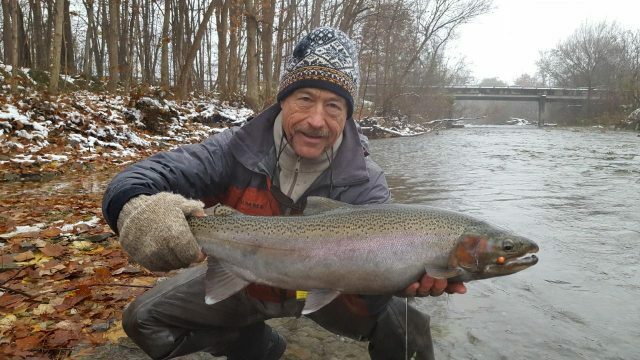 Tim Oliver just got back from his annual steelhead trip back East and sent me a report. 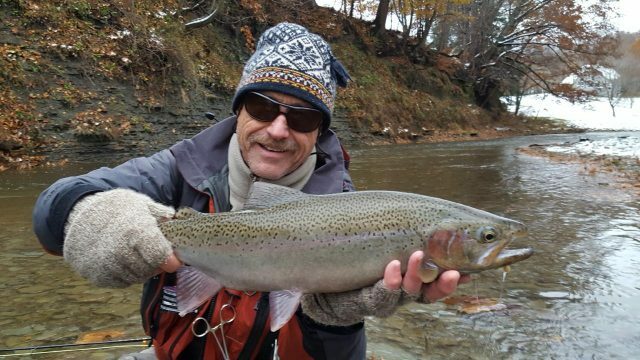 Spent 6 days fishing the streams coming out of Lake Erie and Lake Ontario in PA and NY the second week of November. Was joined by old friends Steve and Pete Martin and Jason Myers. Had one of the best water years we have seen in the last 7 or 8 years. Plenty of fish in the streams, just had to do a bit of walking. 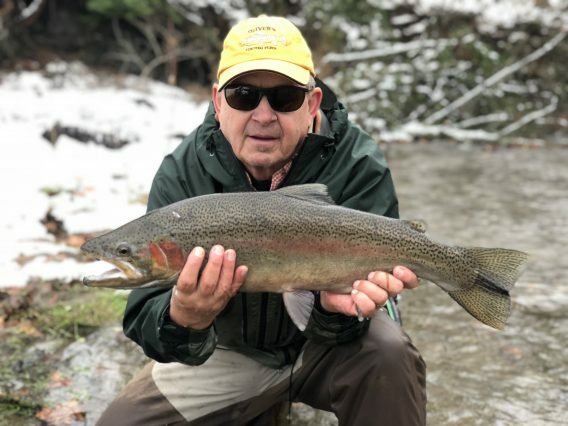 Fished Elk Creek and 20 Mile Creek in PA, and Chautauqua Creek and Oak Orchard in NY. 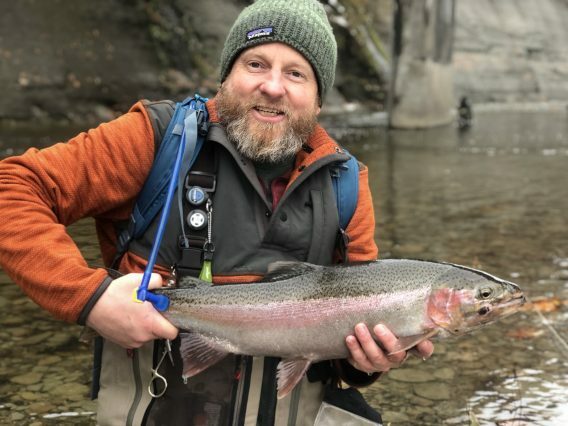 Most fish taken on single egg patterns, a few on PTs and the rest on brightly colored Sucker Spawn in the colored up water. Weather was colder than usual with plenty of fresh snow and rain thrown in during the week. Everyone landed fish. 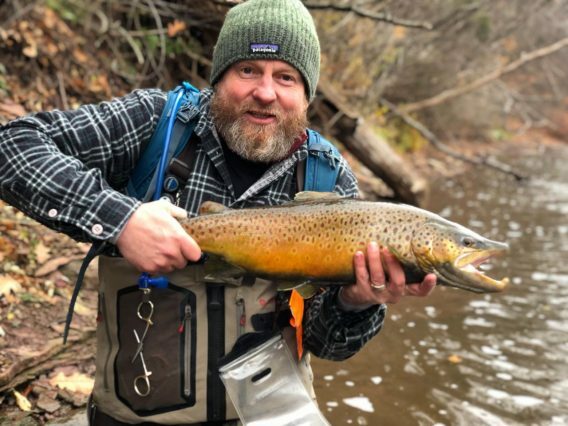 Have learned that when the PA fish run up the river, they no longer linger along the way, so you might as well head up river once the run has passed. This is a change from years past where the fish would hold up along the way waiting for the next push of water. As always, good food, great friendship and a fun trip.